Not “If” but “When” — No one is immune to the threat of a disaster. Disasters will happen. The only question is precisely when they will strike and whether or not you are prepared. What’s more, if your business is a victim of cyber-attack, you may need to notify your entire customer base or face heavy fines. Toshiba can help. Disaster Recovery is More Than Backup — Disaster Recovery (DR) is the ability to get your business up and running again after an interruption. A robust DR solution includes multiple systems, such as offsite data centers, physical and virtual servers, cloud-based backup, and alternative work locations. 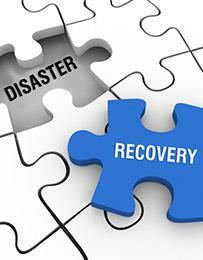 More than a rudimentary backup, recovery is about the ability to resume critical operations. Business Continuity Planning — Business continuity (BC) planning ensures that over the longer term, your company will recover and survive. While DR focuses on hardware and operations, BC’s focus is management systems, strategic choices, leadership, and an overarching survival strategy. A disaster doesn’t have to mean the end of everything you’ve built.